Courtney West: I'm looking forward to just continuing that involvement. Then, outside of the Columbus community, I'm involved in the Play for Jake Foundation, which works to raise awareness, and raise funds for undetected heart conditions in our youth. That's a cause that's near and dear to my heart, so, I spend a lot of my time donating some of my specialty in media - social media, website development, that kind of stuff - with that organization. I'm really starting to dive into the local philanthropy, which has been a lot of fun. If anybody has a suggestion on another way to get involved, always, always open, open ears. Courtney West: Great question, and we get that question a lot. It's funny, the amount of Chamber of Commerces around the country ... In fact, just last year, we had the Hawaii Chamber of Commerce reach out to us. Courtney West: Exactly. I need to be there ... Toes in the sand. Unfortunately, that didn't happen, but I haven't completely crossed it out. We'll see. Courtney West: I'll give you a little bit of background on how I got started with the Chamber, because that'll provide some insight. I, back in 2016, moved to Columbus for an opportunity with the Chamber, in their marketing department. It was pretty unique, because they were having some ... A jump in their previous director was leaving, and a new director was gonna be coming on a few months later. They needed somebody to run the department on their own, during that time. Luckily enough for me, I was a good fit for the job, they thought. I came on to the Chamber, and there was a lot that I was learning pretty quickly, and on my own. Courtney West: They were able to, for over a year ... I think it was about a year and a half, almost two years, they were putting out episodes consistently, and working with various members of the business community. They were the ones ... Credit goes there, to them coming up with the idea, and really taking it off the ground, and running with it. Courtney West: When I came on to the Chamber, I was very interested in continuing the podcast, because I saw a lot of opportunity for it to be taken to the next level, and even the next-next level ... I knew that it was a market that we could be in, in the Columbus community, and really thrive. I knew that a lot of other people, a lot of other Chambers weren't really involved in that space, so, it was an opportunity for us to set ourselves apart. Courtney West: What we came down to was that we have so many amazing stories in this community, in Columbus, to tell, and to share. We are a booming Midwest metropolis that just ... There's so much opportunity here, and it doesn't often get translated, let alone, within our community, our Greater Columbus community, but outside of Ohio ... There are so many stories here that are worthy of people hearing, on the East Coast, on the West Coast, all over. Courtney West: We just saw the opportunity, and knew that we could take the time, and if we did it right, and did it well, and did our research, that we could really make something that would be beneficial to the Columbus business community, and the greater ... Just the economics of the business world. That's kind of what was our driving factor was that this could help set us apart, so that was our guiding force. Courtney West: Our host, Mikaela Hunt, I mean, she's ... Mikaela's amazing. It takes five minutes of listening to any given episode, since the reboot, and it's just- it's a piece of cake. She makes it easy, which is fantastic. Courtney West: Once we started working with Mikaela, it was very evident that she was the perfect ... Had the perfect tone. She's an entrepreneur, herself, and has experience in the journalism world. She really brings every aspect to the table that we were looking for. Brett Johnson: Your reboot focus on the intended listener - who is that? Courtney West: It's interesting, a lot of people would assume that it would just be anyone in the business community. While that is true, we really tried to approach our topics, and our guests - in the way that we're formatting our content - with the aspiring entrepreneur in mind. Courtney West: We wanted the topics that we're featuring to be able to have somebody that's maybe sitting at their job right now, or sitting in their college classroom, and they have an idea, or a dream, or something that they think would just thrive, and really take our community, and open market ... Really take the community to the next level ... We want them to be able to listen to these episodes, take something tangible away, and learn from somebody else, and apply the directly in their business model. Courtney West: That's kind of our niche where we try to focus, but it's really fun. We have people of all different levels in their career that listen. My mom lives in Indiana, and she listens; it cracks me up. She's a teacher, and she's like, "Oh, I just- I learned so many new things on this month's episode ..." It's a lot of fun. It's definitely applicable to everyone, but I'd say our niche would be those entrepreneurs. Courtney West: On the Chamber side of things, there's ... I'm kind of the main lead on the podcast, which is exciting for me because I love being a part of it. Our marketing department is two people strong at the Chamber. We're strong but mighty. On the Chamber side of things, we're the ones that kind of manage all of the planning, the interview-question writing, all of ... All the fun stuff behind the scenes. Courtney West: Yeah ... That's a great way to put it - they are getting it done. That is kind of a unique story. When we started going through the process of re-evaluating what we were doing, we were going through a lot of change at the Chamber, and really taking a look at what we were doing, who we were doing it for ... We wanted to make sure that the podcast was ... Hi, Mikaela! Courtney West: We were just talking, Mikaela, about ... I was getting ready to tell the story about how Capital became involved. Welcome. Courtney West: Myself being a, at that time, recent graduate ... I guess I'm still kind of a recent graduate of college, but, at that time, I was about six, seven, eight months out of college. I went to Butler University in Indianapolis. Go Dogs. Courtney West: He was so excited from the start, and he said, "You know, I think this is something that Capital is really gonna be interested in. Let me take this back to our Dean. We'll have a conversation, and I'll let you know." I thought, "Okay, now I just have to wait ..." Go home, back to the office, and try not to think about it. Mikaela Hunt: I think we're at a moment, too, where universities sometimes struggle with doing some of the latest, and greatest things, from a teaching perspective. I went to a fantastic journalism school, one of the best - University of Missouri - but, at the same time, we weren't prepared, I don't think, for where media was headed. Even though it was the best of the best, we weren't prepared. The fact that Capital has a program like this, and that we can bring real-world application to them, and they can help us? It's a win-win. Courtney West: Whenever I do these meetings with the classes, I always stress to them, this really is ... It's potentially a little bit of- not a job interview, but you're making ... You have the opportunity to make a great impression on somebody, who knows just about anybody in this community. They do a fantastic job. They're always so professional, and they blow me away with how much they know, but, in that aspect, too, they're getting to meet some really great people. Mikaela Hunt: We didn't have ... We were barely utilizing our websites. I think I created SiteWatch for my TV station. I was the 10 o'clock producer. "If you need to know information, go to WANDTV.com, click on SiteWatch, and that'll take you to their website." We didn't have that. Brett Johnson: No one did, really, if you think about it. It's hard to teach, when you don't know the next yea ... Wait a minute, where'd this Facebook thing come from, all of a sudden? Mikaela Hunt: Then, in that time, this radio show ... I also do a radio show for WTVN, right now, every Sunday. That's been great, too. It has nothing to do with business. Total opposite end of the spectrum, more about families. It helps me stay in media, and podcasting, now, is a more traditional media. It's becoming more, and more. Brett Johnson: This next question, looking at the interview scheduling, and the strategy, and the process ... Typically, those that host their own podcast do the scheduling, bringing ... If they're doing an interview process. How did you two work together, in regards to scheduling who's going to be there to have Mikaela interview, and make it all work with the school, as well? Mikaela Hunt: I'll say, "No, Courtney's taking care of it ..."
Courtney West: Back into that scheduling process, once we have our people finalized, our date finalized, I'll brainstorm some questions here and there, and then, Mikaela, with her journalism background, if I even provide a few bullet points, she can take it and run with it ... I think we work really well together, in that sense of just kind of collaborating on the background questions, or what things we might wanna touch on. Mikaela Hunt: They do this [cross talk] this prep, and they prioritize what's needed from that timely, and relevant place. Courtney provide some questions, some bullet points, and then, I get to dig into the meat of it. Depending on how I'm feeling ... Obviously, everybody kind of gives off a vibe, when they're going through an interview. I play upon that. Some people are more comfortable, to your point, than others. I feel like it is my job to make them as comfortable as they possibly can be. Courtney West: I think, too, Mikaela, I don't know if this is something you consciously do ... I'm sure it is, but I've noticed that we'll have somebody come in, and Mikaela will just jump-start a conversation with them, ask, "Hey, what's going on? How's life been? How's business?" Mikaela Hunt: And his day ... I mean his attitude ... It was a tough conversation that he had just had with his parole officer. John's a pretty upbeat guy, given what he does, and how he helps people; but we did ... that did change a bit of that interview. Courtney West: ... That's another big part of it is just we are professional, but we also allow some flexibility to let Mikaela run with it. Mikaela Hunt: To that point, I will say it's not overly scripted. I think when you have something like this ... This is a part of what the Chamber has, in terms of offerings, but at the same time, you have to make it be authentic. You can't just go down a list of questions. If you really want an organic conversation, you need to be free to have the conversation. Brett Johnson: What were the discussions like in regards to, "Okay, we've taken ..." I guess it was maybe nine months, a year off, something like that? Courtney West: Yeah. It was about eight or nine months that we had taken off, and we weren't even recording. I think the last episode ... When I came on to the Chamber, there was a few of the previous- the cbuzz that was previously being published in the bucket, so to speak. Courtney West: For us, it was a lot of focusing on marketing it as something new. "Tune into the reboot of the Columbus Chamber's business-focused podcast, in partnership with Capital University," because that ... The Capital aspect has a really unique play, and a really unique opportunity to market, and advertise what we're doing. 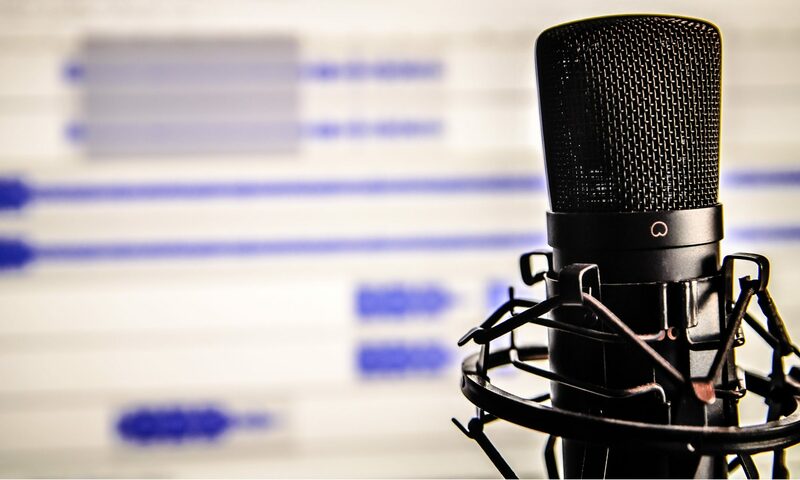 It automatically makes people a little bit more interested, sometimes, when they hear that we're working with students to produce the podcast. Courtney West: For us, it was a lot of just organic ... Also, word of mouth. Mikaela has a huge following, so we got lucky there that she was willing to also promote the podcast on her social media sites, and through people she was meeting with. Courtney West: That's a great question. I think it would be publishing. I'm not sure if it would be nearly as successful, just because Mikaela's voice ... I talked a little bit earlier about there's just the tone that she brings to the podcast. It's very conversational, as Mikaela mentioned, so it makes people feel like they're really getting to know these people. Courtney West: He has doctorates in immunology, or something like ... He's just- he's so smart, and so-. Mikaela Hunt: Well, I so appreciate you saying that, obviously, Courtney. That means a lot to me. I think something also that was important for me, in this role, that maybe your traditional media person - and I was that traditional media person for a long time - wouldn't bring is that I'd been a small-business owner for two years. Mikaela Hunt: Working in that space of kind of a newer concept, in terms of brand journalism, and creation for companies - from that content creation, from that perspective, and from the subcontracting end of things ... I am a solopreneur, micropreneur, but, to have myself in that head space really helps me out, when I'm interviewing business owners. You get that. Brett Johnson: It's finding the right person ... I think you've given a really good example of how to do it, whether it is going to a traditional media person, or somebody that may be in the community that has some social media collateral that would do it. Brett Johnson: Sure. Sure. Well, and I think that adds to ... By going into the next area I wanna talk about is the marketing that you do behind it, and there's a strategy behind it. What social media do you use? How do you go about promoting future episodes, as well as past episodes, and continue that into the ... Every episode you produce is evergreen. It has long tail, until that person may be gone from that organization ... How do you approach that? Courtney West: ... We have a new director, at the Chamber, of marketing, who really believes in the podcast, and he really believes in the work that we're doing, which is fantastic. I think that we're finally going to see 2019, where we capitalize on some new opportunities with marketing, because, in the past, it's mainly been all organic. Courtney West: We have done some interesting- a few interesting things with marketing this past year. One good example is we had our Retail Summit this past August, and we had a really exciting panel that we were featuring. It was the Women in Retail panel. We had Cindy Monroe of Thirty-One Gifts, Denise Doczy-DeLong, from Singleton Construction, and Lauren Culley, from Fox in the Snow - three major, very diverse, powerhouse retail speakers. Courtney West: We decided this is gonna be such an interesting conversation; we know it's gonna be full of just some really gems of little tidbits, so we decided that we were gonna make that panel a live podcast recording. We were lucky enough, to where we'd actually brought Mikaela in as our emcee for that entire event, so, we already had our emcee there. Mikaela moderated that live podcast that we did. That was a whole other opportunity to, kinda within that room, and within the event, market it as, "Ooh, yeah, our cbuzz podcast ..."
Courtney West: We've been trying to get a little bit creative with - even internally, within our different events that we're doing in our different programs that we're offering, or members that we're meeting with - we're trying to really let people know that this is a resource that we have, and it's free. That's another thing that's great about podcasts, and what they look like. It's free information. Mikaela Hunt: Ultimately, when it comes down to it, if you really think about cbuzz, you're getting the opportunity to talk with these playmakers here in Columbus that you ... You hear them speak, I should say, and hear a conversation with them that you're not getting anywhere else. Brett Johnson: You know where it is, and you ... It also speaks to where you go in your mind, I'm sure. "We're done. We've covered what we need to do. We're good. ".